The old saying ‘time is money’ can definitely be applied when talking about the motion graphics industry. With quick turnarounds and tight deadlines always popping up, your clients are depending on you to get the job done in the least amount of time possible. That’s where using scripts in After Effects can help save you time. A script is a small file that tells an application to perform a series of operations. 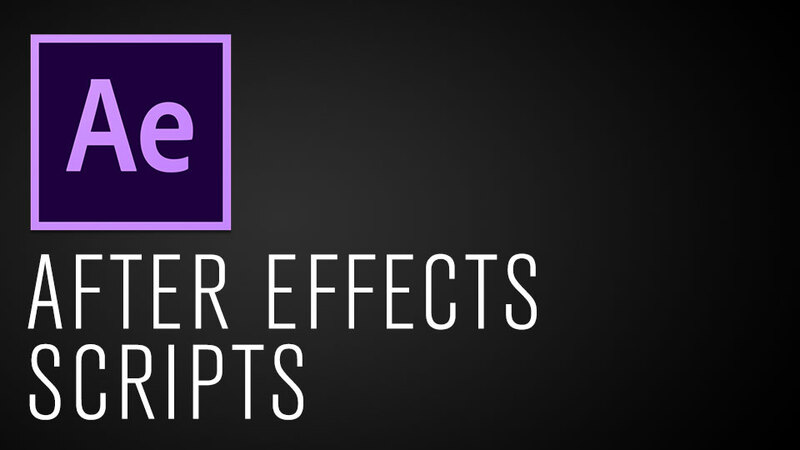 You can use scripts in After Effects to automate repetitive tasks, perform complex calculations, and even gain some functionality not directly exposed through the graphical user interface. 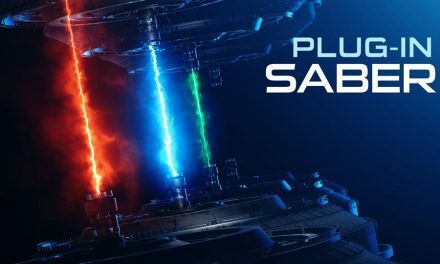 If you’ve never worked with scripts in After Effects before, I suggest you check out this video on how to install and work with them. Once you include scripts in your workflow you’ll wonder why you hadn’t been using them before! 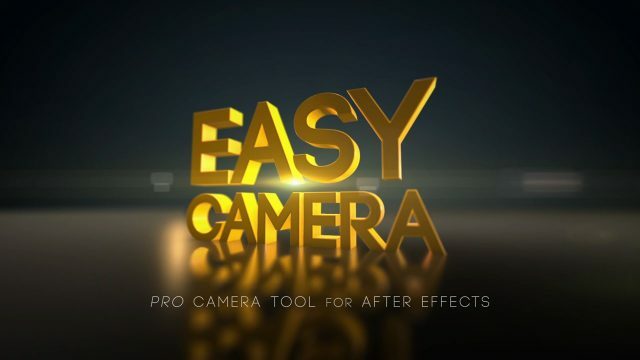 Here are 5 useful After Effects scripts that will help you finish the job on time and in style. 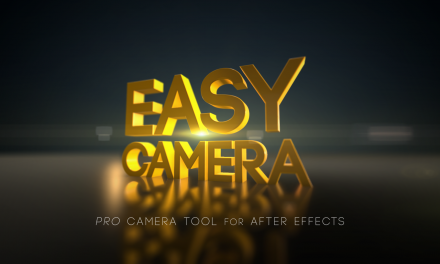 This is by far my favorite script for After Effects and it is well worth the $35 price tag for the pro version. 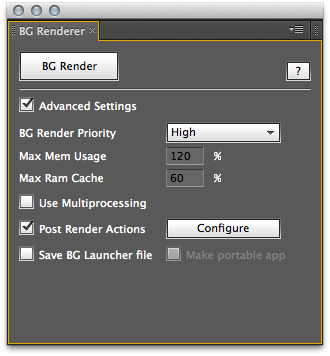 BG Renderer allows you to render your queue in the background while still being able to work in After Effects. It renders in a Terminal window which doesn’t slow down your computer, and it even shows you detailed render progress for each item. You can also set up post render actions like sending an email notification or putting your computer to sleep when it’s done. Since making this script a part of my workflow, I hardly ever use the native After Effects renderer anymore! 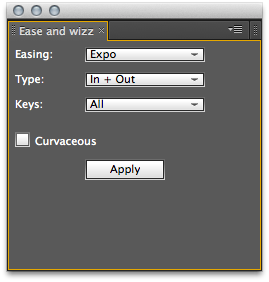 This handy script allows you to apply easing expressions to any keyframeable layer property. 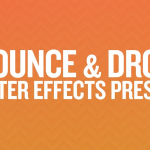 It includes expressions for several different types of easing curves, including options for bouncing and springy motion, overshoot, and more. You can even edit the expressions that are applied to the layer with your own values to create unique and custom motions. 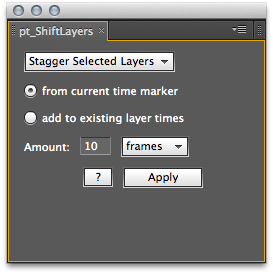 This script allows you to shift and stagger selected layers by a specific amount of time or number of frames. 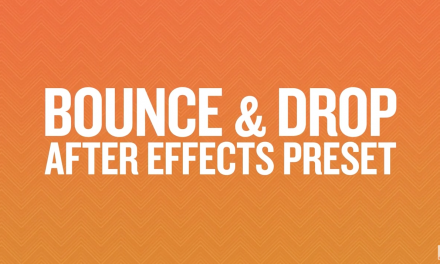 This is especially useful if you want to create an offset animation using several layers. 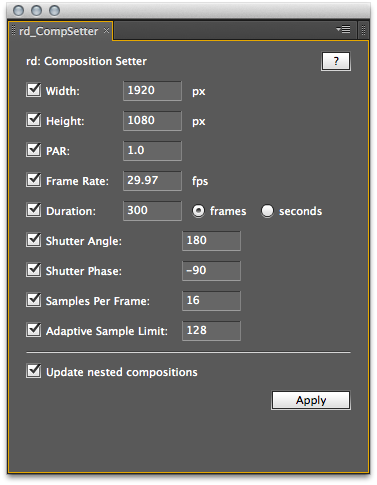 Just copy and paste your keyframes from the first layer to the rest, then set the duration for the stagger amount and hit ‘Apply’. 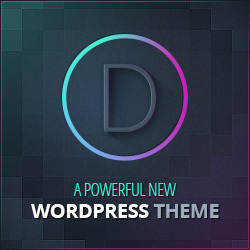 This script allows you to make a duplicate of a layer and link all of its properties to the original layer via expressions, which can be especially helpful with nested compositions. 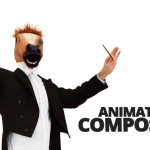 Use this one when you need to copy the animation of a layer but don’t want to spend all your time copying and pasting keyframes just to update it. For example, you can have a camera in a nested composition duplicating the movement and properties of a camera in a main composition. Super helpful! 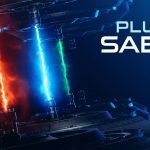 This script allows you to adjust any of the properties of multiple selected compositions at once, including size, pixel aspect ratio, duration, frame rate, and motion blur. For example, when you lengthen a composition’s duration, all layers whose out points are at or beyond the end of the composition are also lengthened to the new duration, including layers within pre-comps. 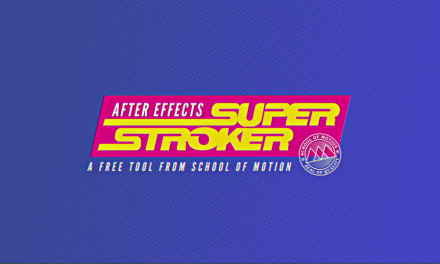 These scripts have definitely helped me save a lot of time while working on motion graphics projects in After Effects. Once you start using them as part of your workflow you’ll understand how powerful and useful they can be to have in your toolbox. If you know of a script that you find particularly helpful, leave a comment with a link and I’ll include it on a future blog post! Although all of the scripts look excellent and very useful, the “Ease & Wizz” script I’ve downloaded 5x and I still have problems with it. Therefore, I’ve soured a bit on the aescripts & aeplugins site find it difficult to purchase anything from them due to this. I’ve also seen many post of people having the same issue and can’t find a resolution to the problem. I’m sure it’s out there somewhere, I just haven’t found it. Sorry you’re having issues with it – are you putting the script into the ‘ScriptUI Panels’ folder? 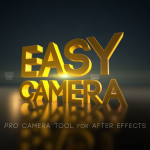 I use Ease & Wizz to this day and find it very helpful.